If you've spent any time with people in the finance industry you may have heard the term "behavioral economics." It's actually a psychological term used to describe the ways people go about making decisions related to money. 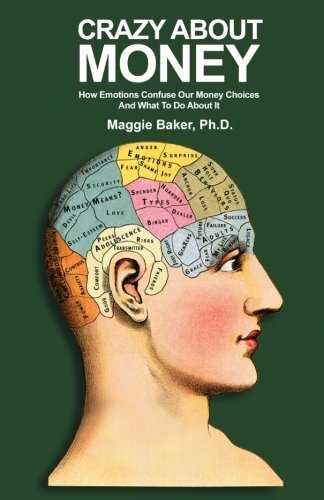 Maggie Baker, PH.D., goes into more detail about the various types in Chapter 4 of her book, Crazy About Money: How Emotions Confuse Our Money Choices and What to do About it. "Although behavioral economics deal with thinking processes, what is fascinating to discover is that, at base, people are trying to protect themselves from the emotion of loss with deceptive thinking strategies. Loss of any kind is an emotionally charged event that we as normal human beings go to great lengths to avoid, not only in our thinking and in our feelings, but in our actions. Clearly, no one likes to lose money (or anything else, for that matter)." Here's a short list with my summary of each behavior that Baker goes into more detail about. Loss Aversion - When we anticipate pain from potential loss we take extreme measures to avoid it. Sunk Hole Fallacy - Choosing not to cut your losses because you've already put a lot of money into a bad investment. Status Quo Bias - Choosing to not make a new choice because of fear that making a change might be turn out to be worse. Mental Accounting - When we value the same dollars differently depending on the context we find ourselves in. The Anchoring Effect - When we allow a specific number from a past experience to stick in our head as a quick reference to judge the value of future experiences. The Endowment Effect - The tendency to overvalue what you have but undervalue the same item if someone else owns it. The Herd Instinct - Making quick instinctive decisions based on what others are doing. Confirmation Bias - When we look only for information that conforms to our preferences. May your financial decisions be informed with rational thought and managed emotions.